The first time junior Madeline Perry took Adderall was when her boyfriend introduced it to her during her sophomore year. Having since been prescribed for Adderall to treat her Attention Deficit Hyperactivity Disorder, Perry is one of many students who use the drug for daily life. Labeled as the “study drug,” Adderall contains central nervous system stimulants: amphetamine and dextroamphetamine, both of which affect areas of the brain relating to both hyperactivity and impulse control. With attention and focus being the primary concern in high school settings, abuse of Adderall became commonplace. The abuse of the drug has been steadily increasing since 2009, according to drugfree.org. While students often only see benefit in a drug such as Adderall, it can pose serious health threats, said licensed psychologist at the University of Missouri—Columbia, Dr. Deborah Wright, in an email interview. 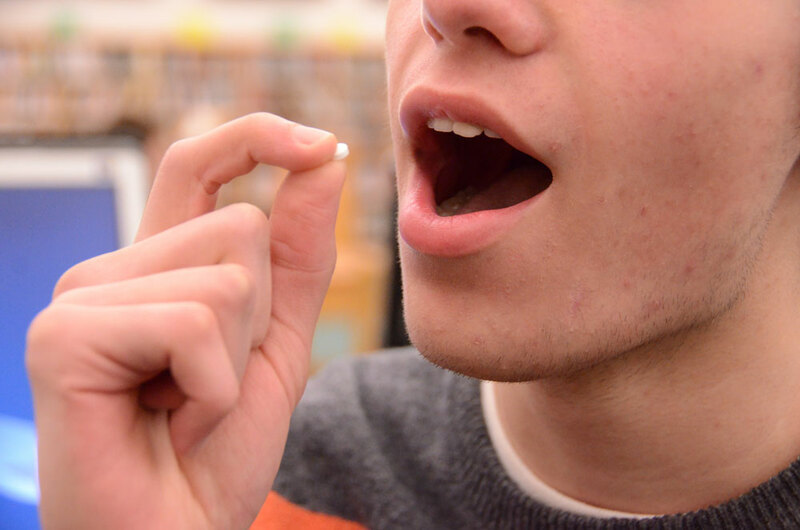 Prescription medication abuse is specifically forbidden in the RBHS student handbook. Because of this strict policy, the punishment for illegal possession of prescription drugs at RBHS is currently arrest, as well as a 10-day suspension, School Resource Officer, Keisha Edwards said. The diagnosis of Attention Defect Disorder relies heavily on the patient’s self report of their own symptoms, Wright said. Because of this, doctors diagnosing the illness must cautious. It’s concerning how readily available drugs are at Rock Bridge. Though punishment is somewhat necessary as a method of deterring such use, we as a community need to focus more on education and counseling instead. I agree, this may seemingly be harmless but if that continues, with some people it can become highly addictive and desensitize the users so that they move on to even more extreme drugs. But you also must remember, if people want to do something-they’ll find a way anyhow. Teenagers are told time and time again all through life that drugs are bad, and can have permanent damaging effects. I wonder how long it will take before they realize that. School is a big part of most teenagers’ lives’ so I hope teachers can sway some of those kids who might be going down the wrong path. I believe that the school should do something about this drug business. I know lots of people that take drugs during school. We should apprehend these drugs meaning the school needs to make some decisions involving more teachers on the lookout for drugs. Drugs are even being passed in class. I think it is really dangerous how common teenagers are taking drugs, it just strenghtens the idea that we fee, we are invincible. Hopefully parents and teachers can help mitigate this issue and still help the students who have gone down the path, not just punish them.